If you have an upcoming costume or Halloween party to which you are invited and are unaware of what to wear and have nothing in your closet to decide. Then you have visited the right website. We have the best stock for costume parties. Every day we restock the best sellers of all time and make sure that all our customers get their hands on these beautiful designs for their upcoming party. 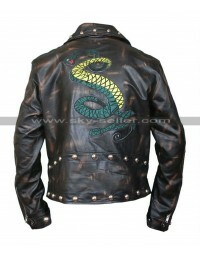 Recently, we have restocked this I am Venomous Last Bite Snake jacket. 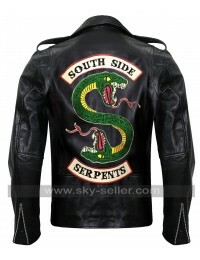 It comes in a bright red jacket with logos as ‘poison’ and ‘danger’ in front and a snake logo with ‘I am Venomous’ printed on the back. 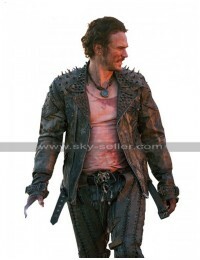 It has little spikes on shoulders which add a different design to it because not every jacket has this kind of spikes attached. 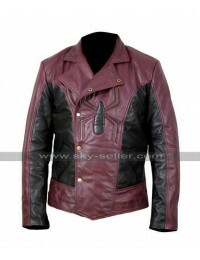 It has shirt-style collars and front zipper for closure. 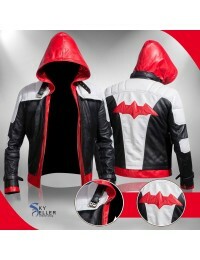 The slim fit cut, full sleeves and side waist pockets secured with zipper add charm to this costume party jacket which you must purchase for your next party.